Health care is one of the most contentious issues in public policy. It is essential and expensive. And importantly, in contrast to most good and services, consumers have no idea how much health care services cost until after they’ve obtained them. That’s because for most Americans, health care is purchased via private health insurance—either through an employer or on the individual market. This “third-party payer” system encourages overspending, because individuals don’t have much reason to consider the costs of their health care choices. What Is Health Insurance And How Does It Work? The first thing to note about health insurance is that it is not health care. The two terms are often used interchangeably, but access to health insurance does not necessarily imply access to care. They get conflated because health insurance pays for many Americans’ health care. People obtain health insurance to avoid the financial risk of getting sick and having large health care bills. As with other forms of insurance, people pay a specific, periodic amount of money – called the premium – in exchange for avoiding this risk. Insurers make money by pooling groups of people with similar risks and collecting enough premiums to pay for all covered health expenses. Health insurance doesn’t necessarily pay for all health expenses. Most plans include out-of-pocket payments such as deductibles, co-pays, and co-insurance payments. Normally, paying more up-front for a premium means you’ll pay less out of pocket, and vice versa. 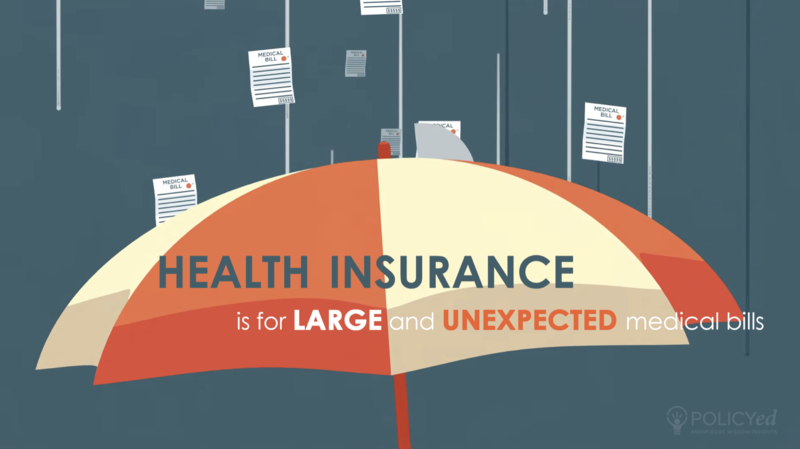 The size of premiums depends on how much an insurance company expects to pay. An insurer with a very healthy risk pool will have cheap premiums. On the other hand, if an insurer covers a lot of sick people, premiums will be much higher. Why Does Health Insurance Cost So Much? One reason why health insurance is so expensive in the United States is that it no longer functions as true insurance. Insurance is intended to cover unexpected catastrophes that individuals cannot pay for directly. But, due in part to government policies and regulations, health insurance covers even routine or predictable expenses. Imagine if your car insurance covered the cost of filling up with gasoline; that’s the trend in health insurance. And covering more costs more. This has contributed to making health insurance more expensive. What are the government policies that have led to these expensive plans? A big one is the tax code. Since the 1940s, employer-paid health care premiums have not been treated as taxable income. Out-of-pocket expenses don’t receive these generous tax breaks. That dichotomy creates big incentives for employers and employees to have health insurance plans with high premiums and low out-of-pocket expenses. Other government policies have exacerbated the problem of high premiums. Any company wishing to offer health insurance must comply with numerous rules and regulations regarding whom it must cover, what services must be covered, and how much it can charge. 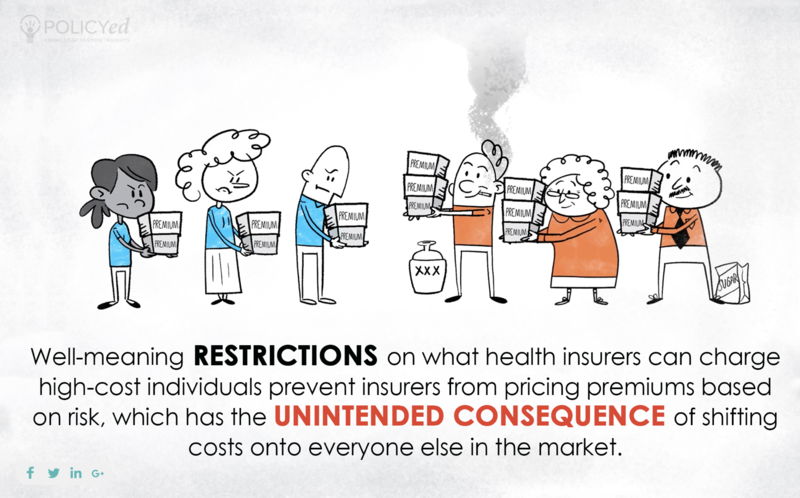 These rules increase costs, which eventually translate into higher premiums. In an effort to cover more individuals, the Affordable Care Act (ACA), also known as “ObamaCare,” placed additional restrictions on health insurance companies, including requiring insurers to charge the same premiums to all individuals, regardless of previous insurance or health status. While ostensibly for the benefit of sick people these rules had the effect of reducing the number of insurance plans available and increasing the cost of premiums for many families attempting to purchase health insurance. 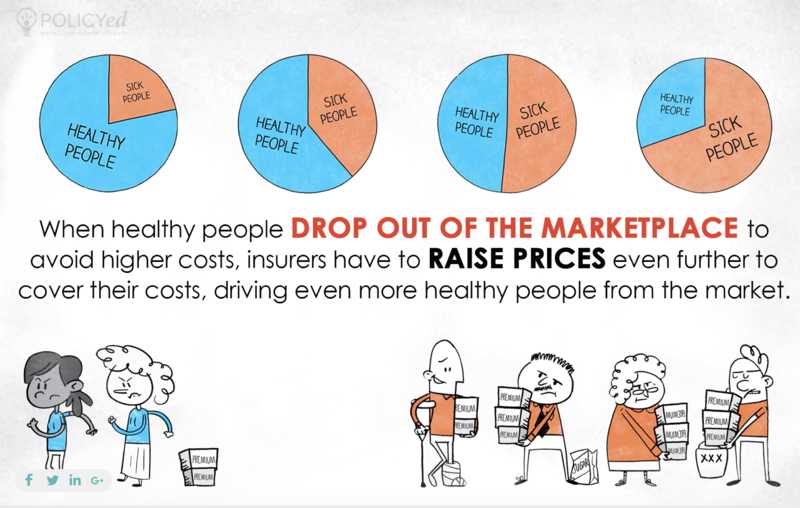 What Can Be Done On The Consumer Side To Lower The Cost Of Health Insurance? Shifting the payment mix away from higher premiums toward out-of-pocket payments could lead to substantial reductions in the overall cost of care. With more skin in the game, consumers would pay attention to the prices they pay for care, instead of focusing on their premiums and their promised coverage levels. Health Savings Accounts (HSAs) are a proven way to encourage individuals to pay more attention to the cost of their health care choices. HSAs are tax-deductible savings accounts that can only be used to pay for the payment of out-of-pocket health care services. By offering consumers tax breaks for their contributions, HSAs effectively level the tax treatment between employer provided premiums and out-of-pocket expenses. This leveling encourages people to set aside money specifically for out-of-pocket medical expenses and gives them a reason to shop around for either better prices or higher quality for elective care. Right now, HSAs are allowed only in conjunction with some high-deductible health plans (HDHPs). Seniors on Medicare, families on other government programs, and people with lower-deductible private insurance plans aren’t allowed to contribute to HSAs. Expanding the availability of HSAs to these groups would give them more control over their healthcare choice and lead to more affordable health care. What About The Supply Side Of Health Care? What Effect Can It Have On Health Care Costs? Another way to lower prices is by expanding the supply of health care providers. 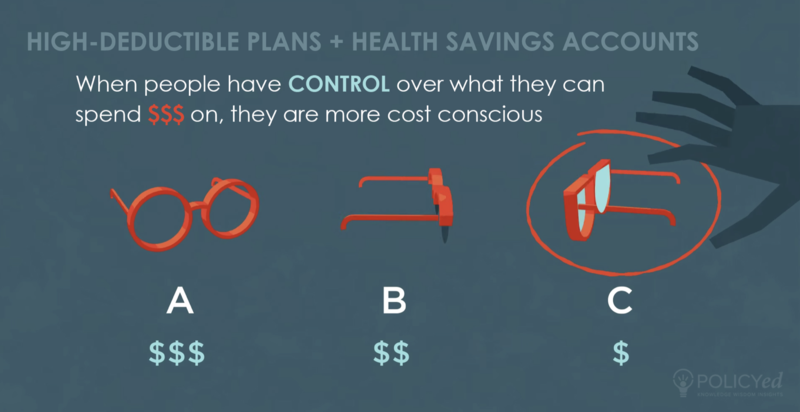 More control for consumers won’t mean much if they don’t have many health care options. In nearly every market, flourishing competition leads to improvements in quality and lower prices. Health care markets are highly regulated in the United States, which limits competition. As we have seen, health insurance companies have to follow mandated rules about what and how they offer coverage to consumers. Strict licensing requirements for medical professionals are intended to protect patients from harm, but these requirements have the unintended consequence of restricting the supply of health care services. “Single payer” refers to a health care system in which the government pays for all health care, financed by tax revenue. Individuals would pay higher taxes, but would no longer pay premiums. Many people support a single payer health care system, because they believe it would cover more people at a lower cost. 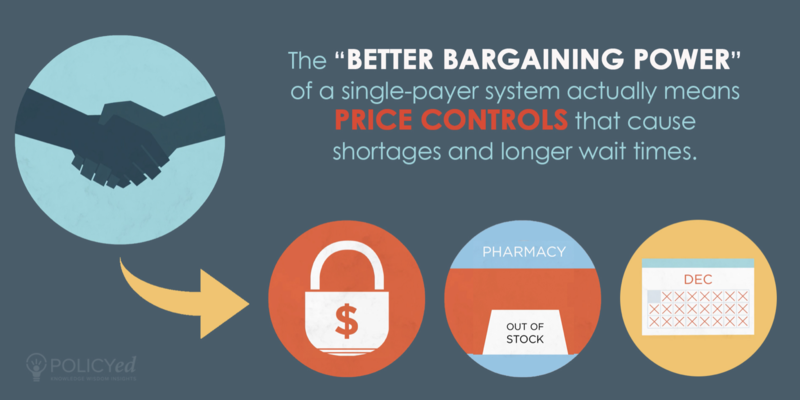 But it is important to consider the trade-offs to care, access, and wait times that come with single payer. Expanding coverage to more people is expensive, and increased overall costs force governments to reduce access to certain drugs, procedures, and doctors. Scott Atlas goes into more depth in this Wall Street Journal article. What Reforms Would Improve The Market For Health Insurance? There are many different market reforms that could improve the market for health insurance. First, expand affordable private health insurance by increasing competition on both the demand and the supply side of health care. Second, establish and liberalize universal HSAs, so that all consumers including the elderly have a reason to pay attention to the next dollar they spend on health care. Third, equalize the tax treatment of health expenses so that we don’t give more help to higher-income earners who purchase their health insurance through their employer than we do to low-income Americans who purchase it on ACA exchanges or on the open market. Fourth, modernize Medicare so that seniors face the appropriate incentives for purchasing and managing their necessary care. Fifth, overhaul Medicaid in order to bring low-income Americans into the same health care system as everyone else. And finally, enhance the supply of medical care by increasing the number of doctors and removing limits on the ability of physician assistants and nurse practitioners to offer routine care. In Healthy, Wealthy, and Wise, John Cogan and Daniel Kessler detail five policy reforms that similarly revamp the health care market so that consumers face lower prices and better quality care. They focus on increasing individual involvement in health care decisions by moving away from the third-party payer system that dominates health insurance spending now. They emphasize deregulating insurance markets while providing targeted subsidies to low-income and medically-needy Americans to make sure that they can afford care. Redesigning Medicare and Medicaid would also go a long way toward improving access and coverage for low-income and retired Americans.